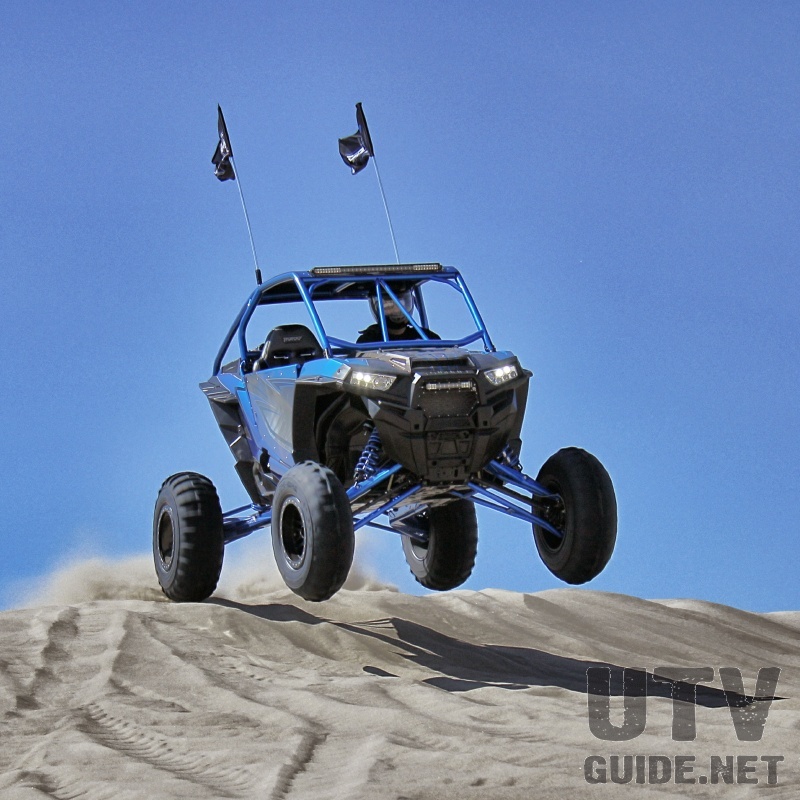 TMW worked tirelessly to finish a couple large-scale builds for this seasons opening events, the Idaho Dunes UTV Invasion and Californias Sand Sports Super Show. 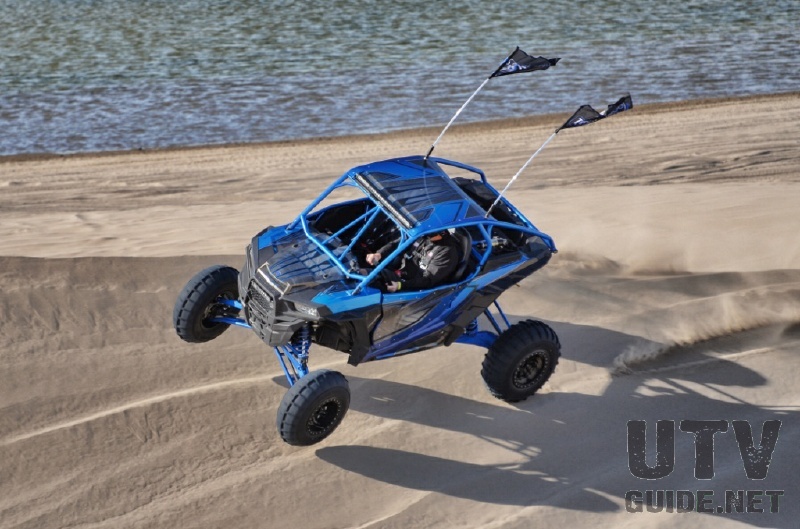 Having just taken delivery of their 2016 RZR XP Turbo less than a month before it was to make its debut at UTV Invasion, Doug Tyler and his team pushed against a tight deadline to complete their new shop car, Punisher. 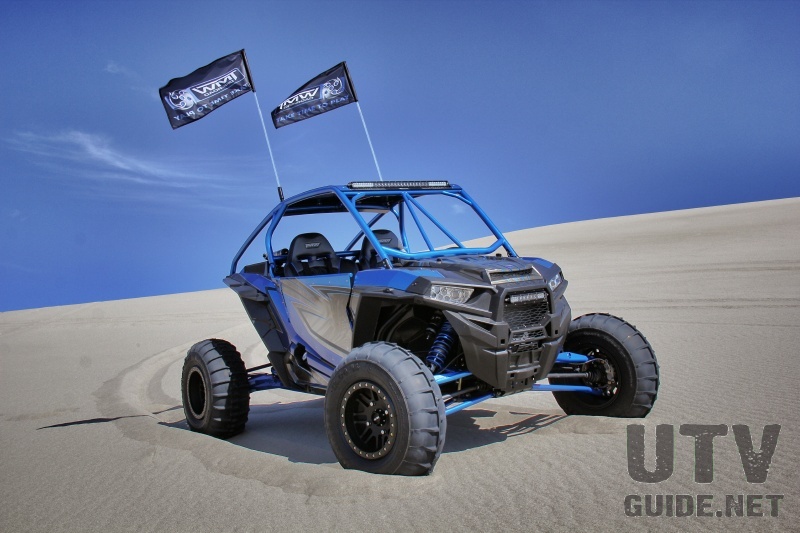 Starting with a brand-new Polaris RZR XP Turbo, TMW tore it down to the floorboards to begin running wiring for the prerequisite Rigid Industries LED lighting and Rockford Fosgate sound system. 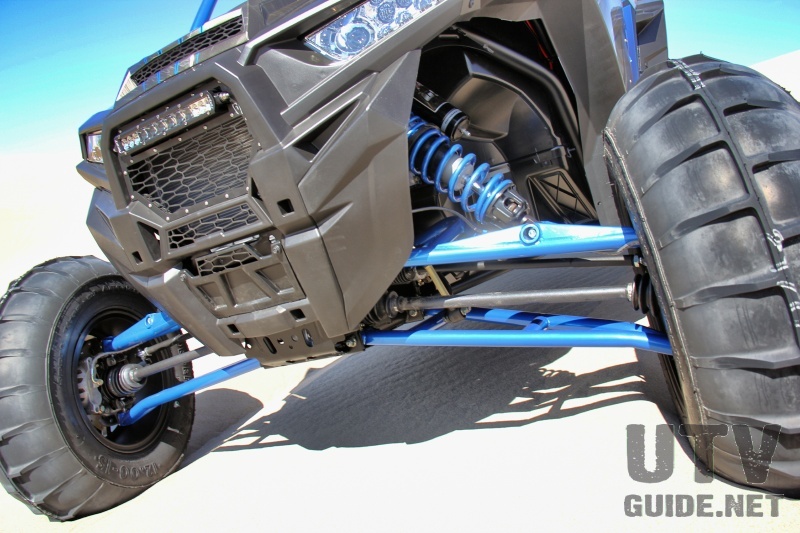 The steel bits from Lonestar Racing and TMW were sent off to Precision Powdercoating to receive a few layers of Crazy Cool Blue powder, baked to a glossy finish and then bolted onto the then-bare RZR chassis. 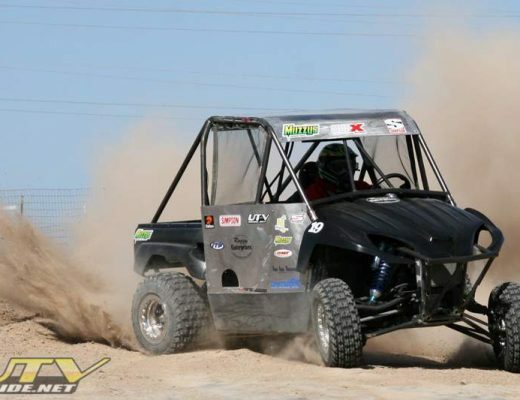 Shock Therapy provided their Stage 3 rebuild kit for the OE FOX dampers, which includes new springs, internal valving, and modifications to the adjusters for a larger range of compression changes. We met up with Doug and the TMW boys in Idaho to get a first look at the new car, and in typical TMW fashion, it was gorgeous. Wolf Designs put together a wrap that offered up different textures than we are used to seeing. The colors all seem to be floating in a pool, with a wavy design that looks unique and helps the bright blue pop in the sun. 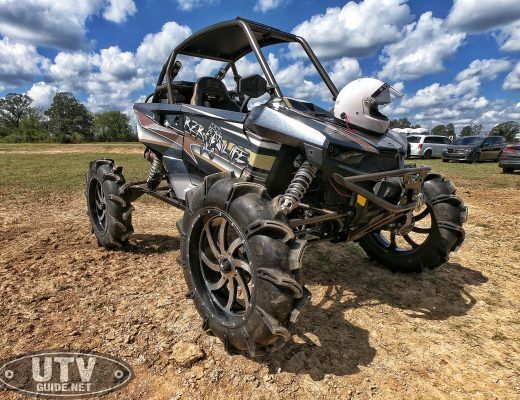 Most of the parts on this build have been tried and tested on previous builds, but having the newfound power from the RZR XP Turbo’s 925cc turbocharged engine brought the fun factor up dramatically. 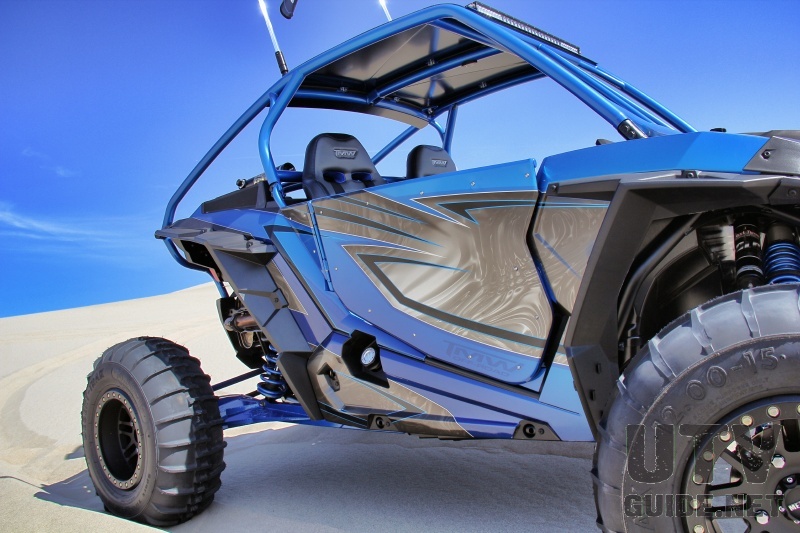 The brand-new Muzzys dual slip-on exhaust gave the XPT a raspy bark that echoed through the dunes, a fantastic sound that we never tired of. 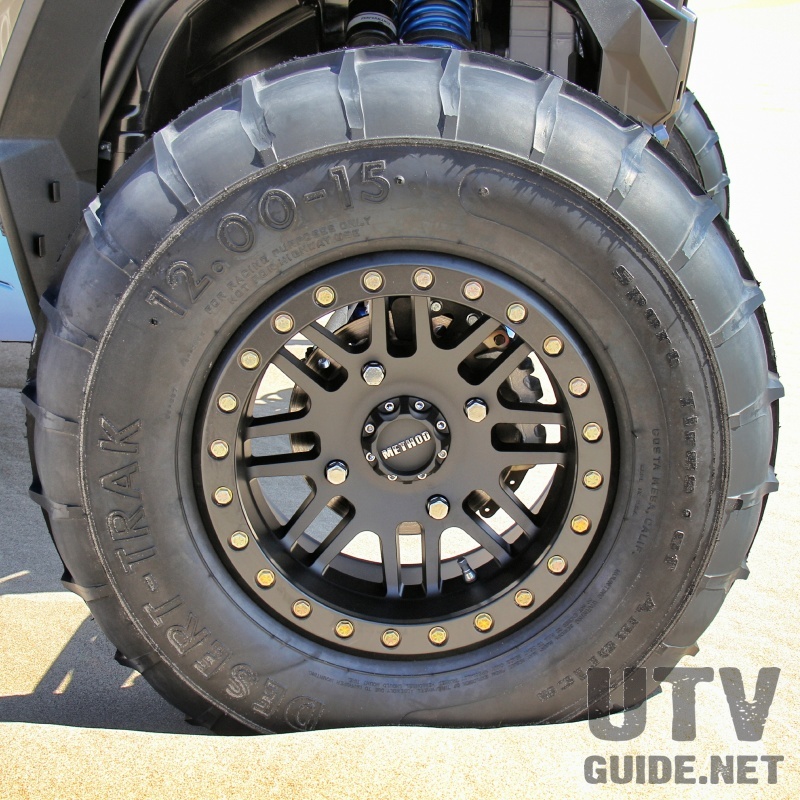 For the tire setup, TMW wanted something a little different. 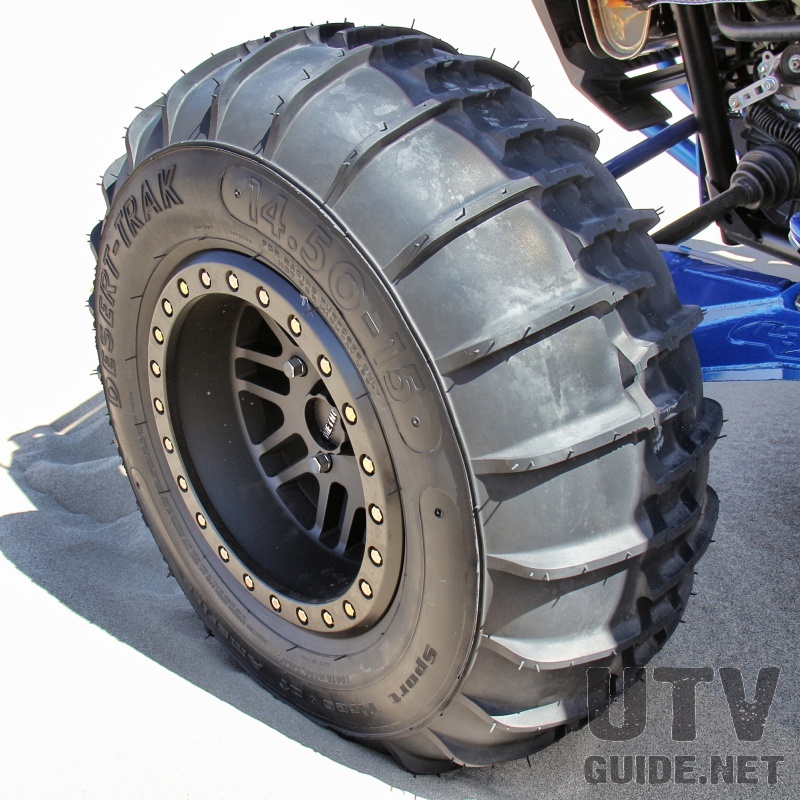 The traction gurus at Fullerton Sand Sports put together a unique Desert Trac paddle combo that looks a little strange upon first look, but TMWs Doug Tyler was swearing by them at weeks end. 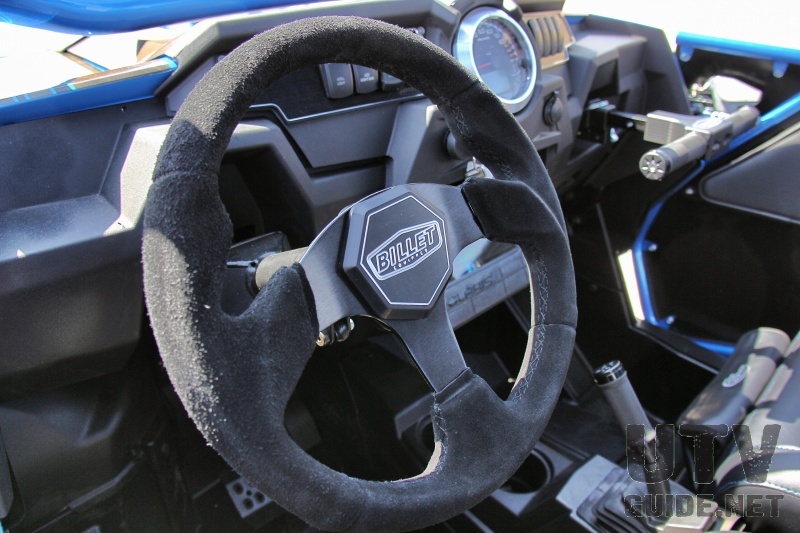 Method 406 Beadlock wheels look gorgeous wrapped in the custom-cut paddles. 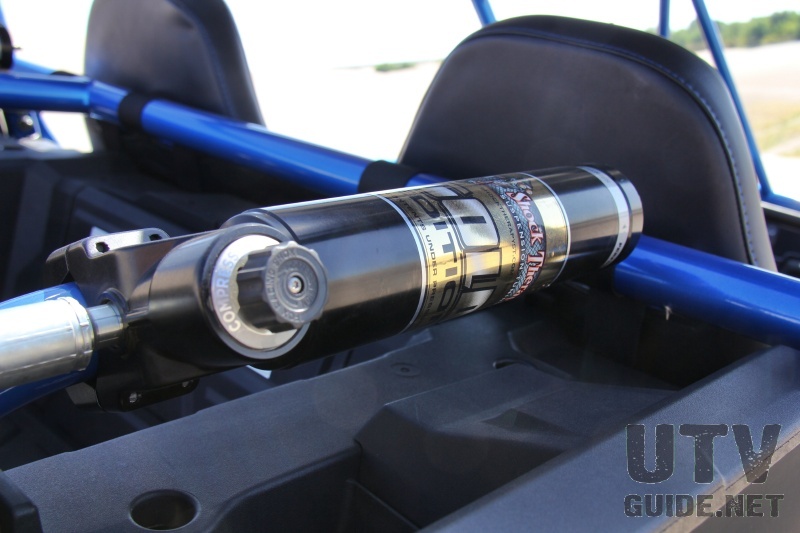 Lonestars MTS suspension kit uses the stock shocks to decrease the cost, but widens the car by 3.5 on each side. This adds stability and boosts wheel travel to around 20. 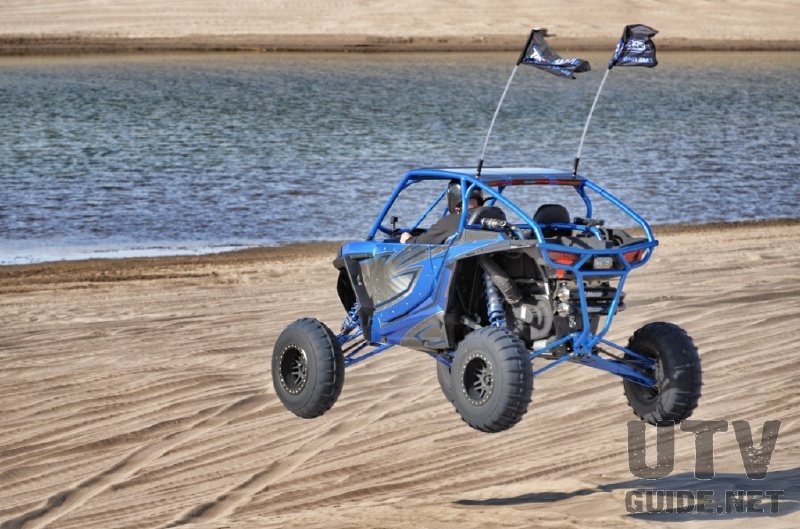 It also extends the wheel base of the car by 3, adding more stability in the whoops. 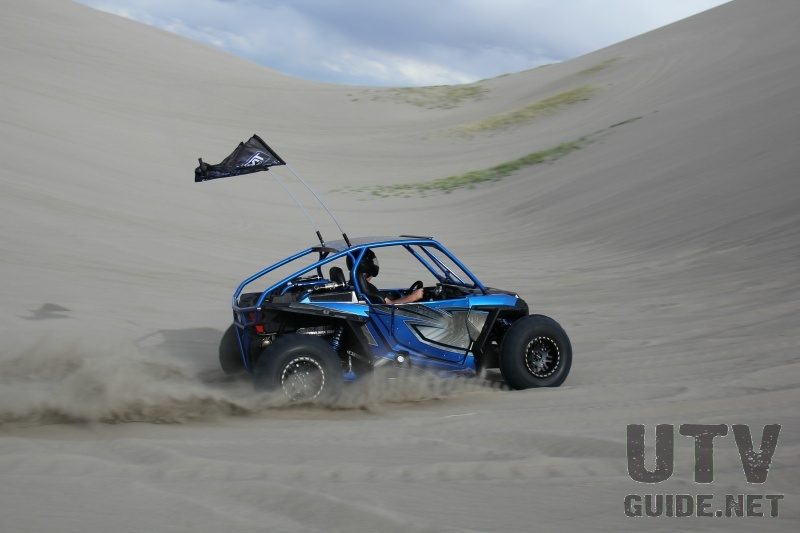 Shock Therapy is no stranger to Lonestar MTS setups, and their massaging of the standard FOX Internal Bypass shocks created a smooth ride in Idahos choppy sand. 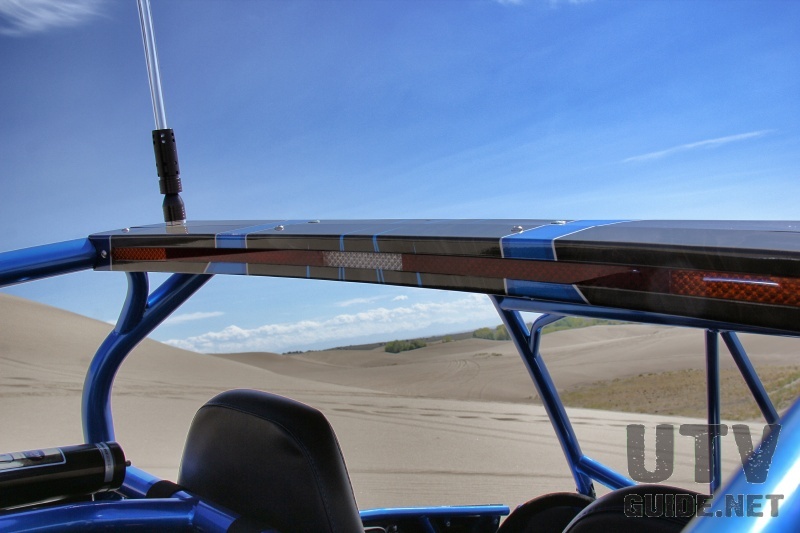 The interior of the car was absolutely decked out in trim done by Billet Equipped, with a custom shift knob, speedo bezel, switch panels, passenger grab bar (OS Handle), and steering wheel adapter. 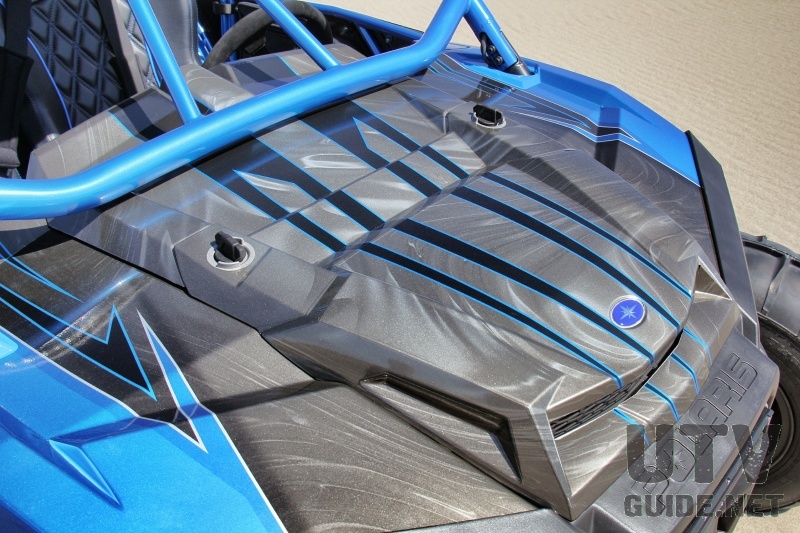 All of the billet parts were colored to match the build, just like the Triple X custom Black Widow seats. 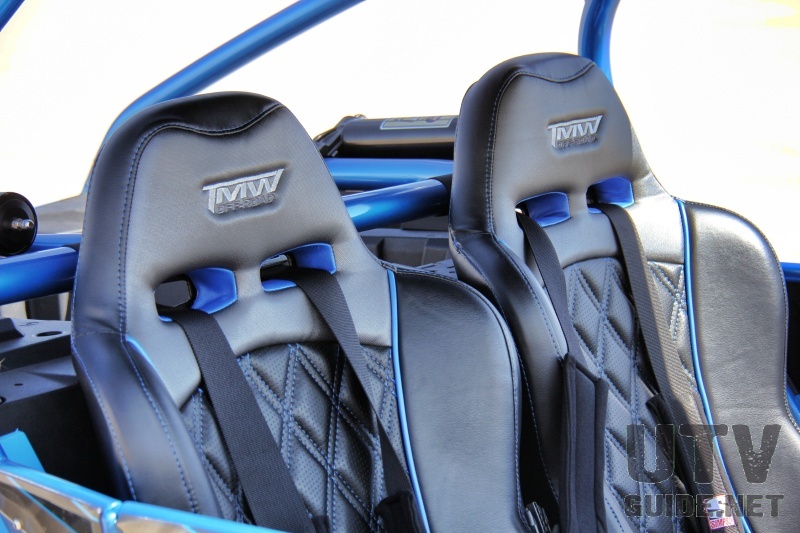 Triple Xs Black Widow seat offers great support and a true suspension bottom, all while creating a much more luxurious look on the inside of the car. 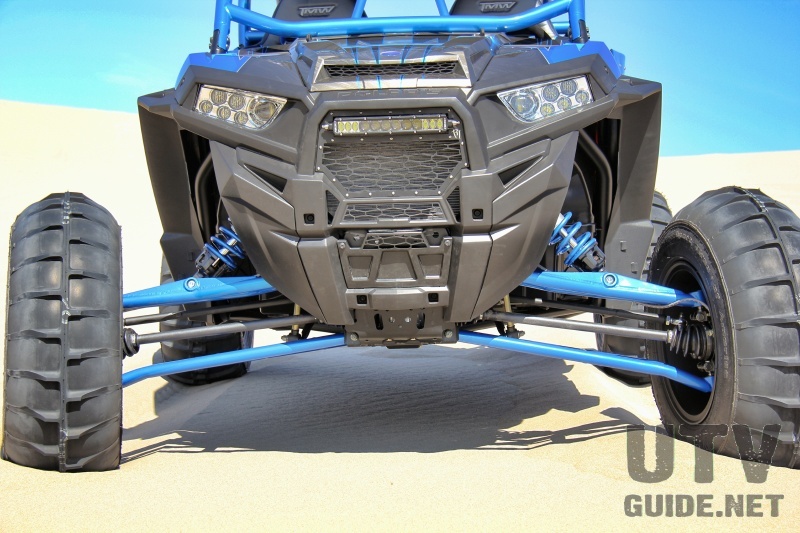 Simpson 4 point harnesses keep occupants safely strapped in during routine flaunts of the 144 horsepower XPTs acceleration prowess. 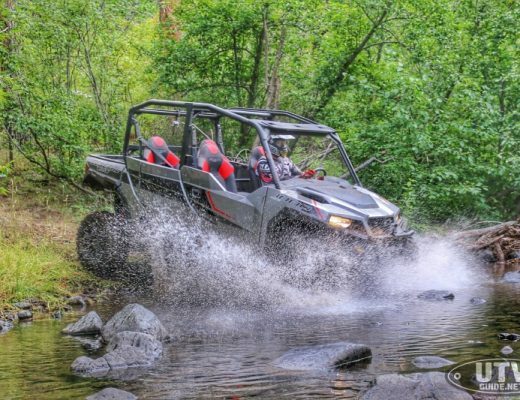 TMW can handle all of your build needs, from simple lighting or accessory installs all the way to custom V8 conversions like their recent Werewolf build for Wolf Designs. Want to know more? 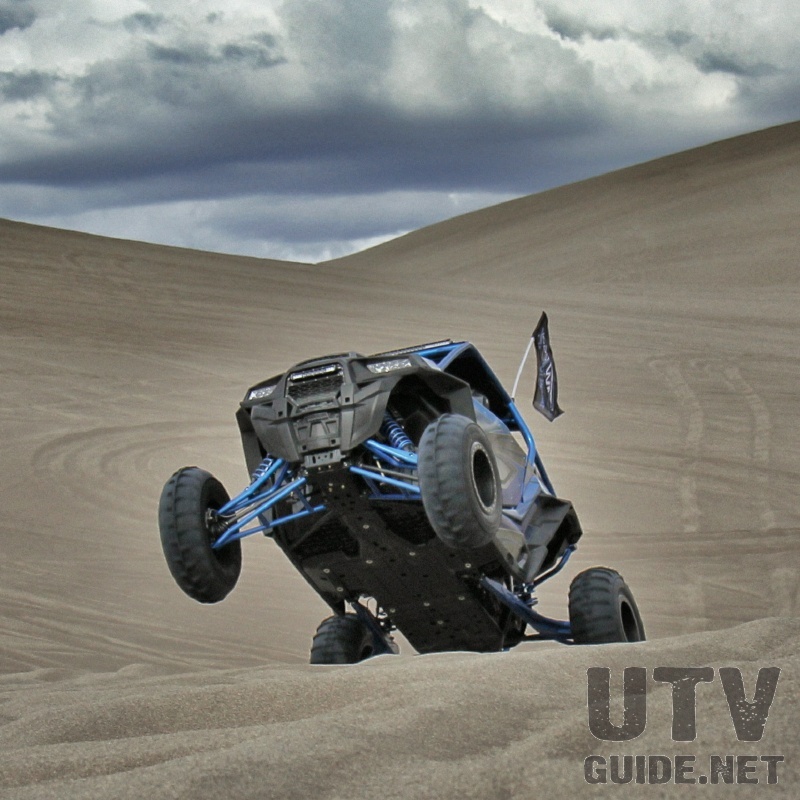 Call their stellar team at (480) 969-9261 or visit them online at www.tmwoffroad.com and tell them UTV Guide sent you!